D.J. Kennington will become the fifth different driver to pilot Spire Motorsports’ entry Sunday when he takes the green flag for the STP 500 Monster Energy NASCAR Cup Series race at Martinsville (Va.) Speedway. Sunday’s race if the sixth of the 36-race 2019 Cup Series season. Quin Houff, Garrett Smithley and Reed Sorenson have driven Spire’s No. 77 Chevrolet in four of the five races, so far, with Smithley driving the car in two races. Jamie McMurray opened the season for the team at Daytona (Fla.) International Speedway in a No. 40 car. McMurray scored the team’s best finish to date with a 22nd-place finish in the Daytona 500. The 2019 season is Spire Motorsports first season in the Cup Series. The team is racing with a charter purchased from Furniture Row Racing after that team shuttered operations at the end of the 2018 season. Kennington has 15-career Cup Series starts, 10 of those coming in 2018. All of his series starts, so far, have come with Gaunt Brothers Racing or team owner Jay Robinson. His best series finish, to date, was a 13th at Daytona last July. He also has 62-career starts, combined, across the NASCAR Xfinity and Gander Outdoors Truck series. 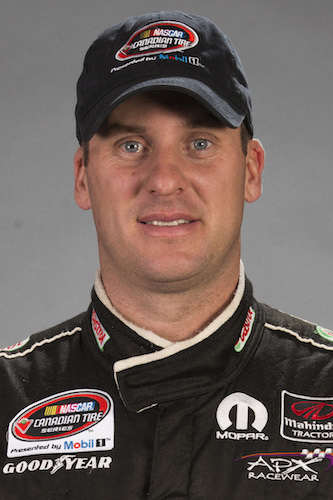 Kennington is a two-time champion of the NASCAR Pinty’s Series, winning titles in 2010 and 2012. He has 20-career wins in that series. Last year, he finished third in the series standings.